Wear and tear on appliances, new members of the family, or an old kitchen have you pondering remodels? With these options you can transform your cabinets and save thousands! To most homeowners, the kitchen is one of the first places to start remodeling. Wear and tear on appliances, new members of the family, or simply an outdated design can inspire much needed updates. Yet, while many kitchen remodeling projects can cost several thousand dollars, updating the appearance of your kitchen cabinets doesn’t have to. Repainting or refinishing cabinet doors are easy weekend projects that can be done with minimal materials and at the fraction of the cost of hiring a professional. There are three ways you can improve older, outdated kitchen cabinets. You can refinish them, giving the current look a shiny new layer of protection or different stain; you can repaint them, adding a pop of brightness or a more sophisticated hue; or you can reface them, changing the doors and look completely. All three of these options can have a big impact on your kitchen, and each can be done affordably if you are careful. Refinishing cabinets is a great way to add some life back into your kitchen. If you love the cabinets you have, but want to give them a little more shine or pop, refinishing will reinvent what is already in the room. Usually, a refinish coats the current cabinet with a clear protective layer that gives it a smooth, glossy look. There are also stain options, if you wish to change a bit more, and add some new variations of color to your kitchen. 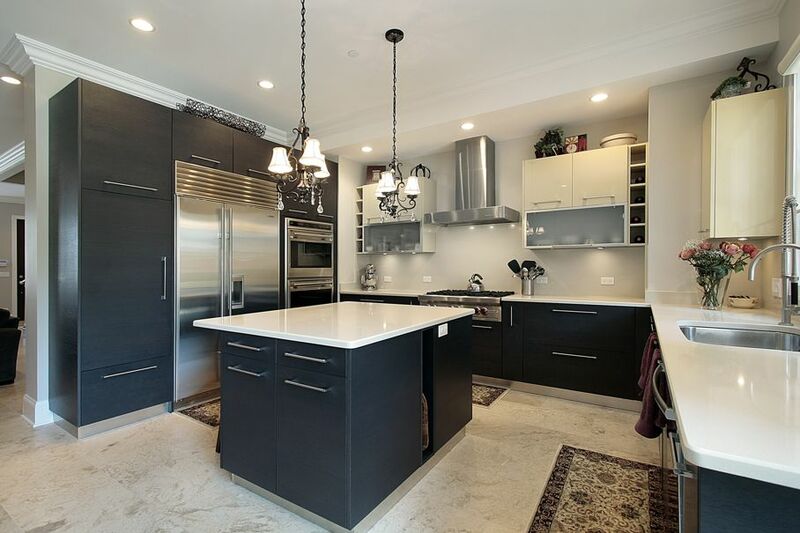 Painting your cabinets darker can create a more traditional vintage look or a sleek urban ambience depending on the specific hardware and design of the room. If you love your cabinets, this is an inexpensive option to spruce up a room without a time-consuming upheaval. All you have to remove are the cabinet doors. Smooth them down with sandpaper, apply stain or sealant, then wait for doors to be dry and ready for reinstallation. Repainting your kitchen cabinets can be a little more time-consuming and expensive than refinishing, but is a wise option if your cabinets don't have a distinct grain or heavy carving. When working on your color scheme, be aware. Notice the way the light illuminates the kitchen, where the windows direct sunlight, and precise shades and hues of the colors already in the room (wallpaper, tiling, etc.). Bright colors can add a youthful, contemporary feel, darker shades tend to highlight the cozy, intimate characteristics of a classic kitchen. Neutrals, whites and grays, emphasis the sophistication and femininity of a kitchenette. Take note of the linens you use in the kitchen as well, and allow them to inform your color choices. 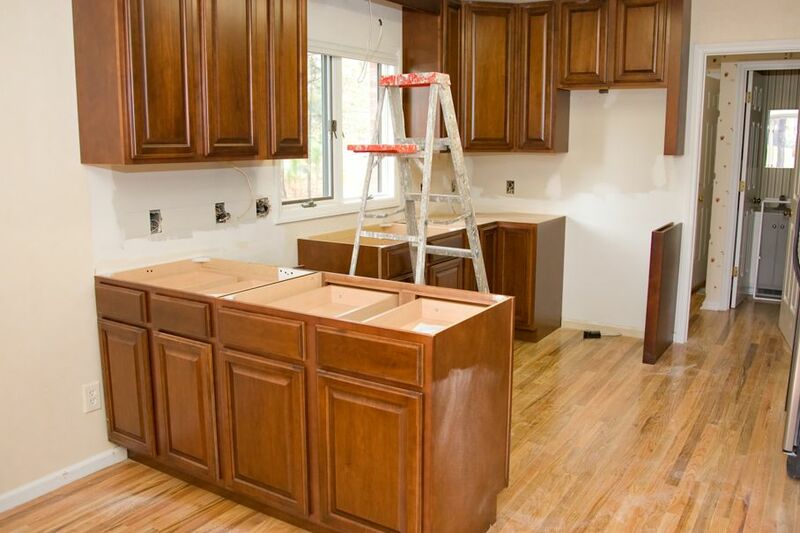 For the repainting process, you will need to carefully sand your cabinets to remove protective layers. After you sand, paint, and wait for the doors to dry. Once the paint had dried, add another protective layer of sealant, as paints are typically harder to clean, as grease and food stains cling to the painted surfaces. When painting, see if you can rent a paint-sprayer for an even, consistent paint job. Always remember that when working with paints and sealants, you should ensure inhalation protection or adequate ventilation of the room. 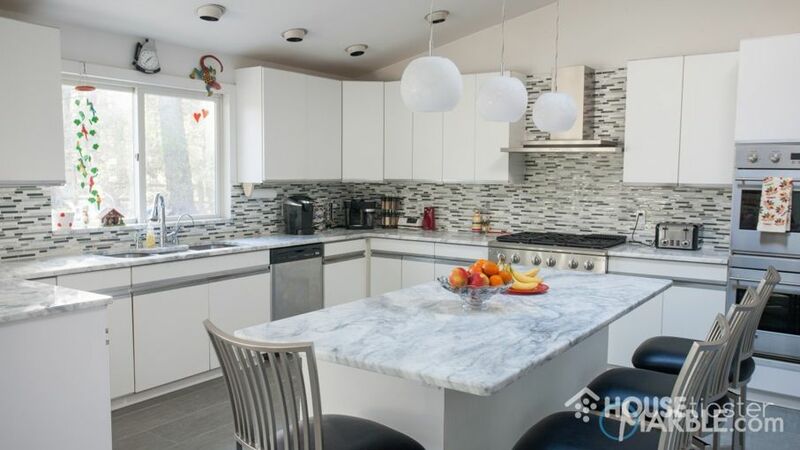 Replacing the entire face of your cabinets is the most expensive option, but if you lack the time or ability to refinish or repaint, this is a far less expensive option than the removal and replacement of entire walls of cabinets. There are many standard choices with which to re-face, and depending on your budget, some companies craft designs based on individual customer requests. 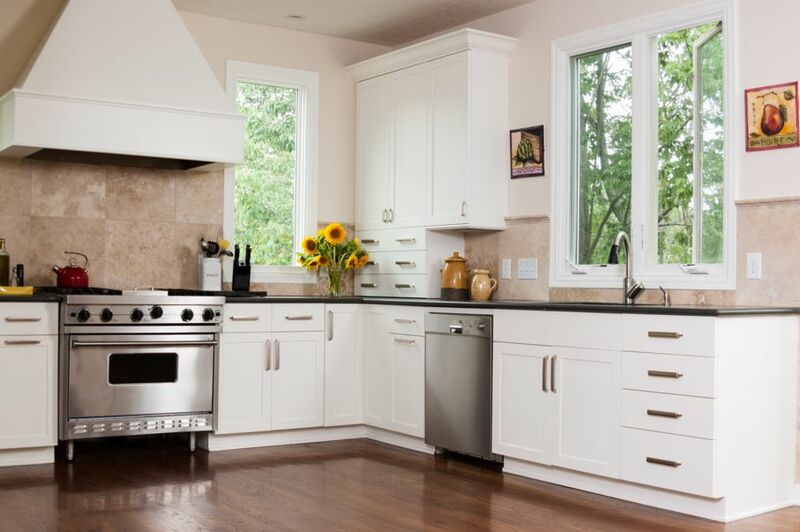 Refacing also involves the least amount of work for you, which is ideal if you are constantly busy and unable to set aside time to do your own cabinet remodel. Refinish, repaint, or reface, it doesn't have to take months of intense remodeling to give your kitchen a facelift. With these options under your belt, you can transform your cooking corner in just one weekend.